It happened in a flash. . . I wasn’t paying attention. The pain in my ankle was distracting me as it was swollen and sore from an old sports injury flaring up again. I knew Napoleon’s lounging by the front door meant he wanted a quick trip outside. It wasn’t that late. Maybe only 8 p.m. I thought, what’s the harm, let’s go for a walk. We exited the front of the building. I stood there for a moment before making my move. “Let’s go a slightly different route tonight, shall we?” Napoleon looked up at me as though he understood what I was saying. He didn’t protest the change, but instead followed me and the dog treat I held in my hand as we set off. At lunch today with two friends I had the opportunity to fully come to terms with my morning walk to work. Below is a retelling of what transpired. And though it was likely much more amusing to see my face turn red as I told the story in a single angry breath, here goes nothing. . . I left for work around 7:15 a.m., which is earlier than usual. On my way, three things happened in succession that angered me and led me to contemplate the state of our world and the people in it. While walking along Main St., there was an older gentleman in front of me drinking a can of soda. He was apparently finished with it when he decided to crumple the can in his hand and discard it with a fairly strong toss into the street. Sir, I completely agree that once you’re done you should no longer be forced to hold onto an empty can even when there is a trashcan a foot in front of you. I mean, really, this idea of keeping our streets clean only works if there is a trashcan within arms reach at all times. I’m sure the City of Los Angeles will hear this and know that those three trashcans within a two block radius is not nearly enough. Of course my eyes followed the can of soda thrown into the street, which then caused me to look down along the curb and realize dog owners have really taken the phrase “curb your dog” to heart. Well, I’m glad to see that everyone is trying harder to keep their dogs from doing their business on private property, but there is an extra step that we are forgetting, right? Finally, while standing at Broadway and 4th trying to forget about all I had seen this morning and thinking of that cup of coffee I needed in order to get my day started on the right foot, I see three young men standing across the street. My first though was “huh, I have a bad feeling about these guys.” My second thought was “is he doing what I think he’s doing?” Oh, yes he was. A very nice, sweet young man needed to use the facilities rather urgently it seemed. Young man, I know the public restroom about a block away was far and apparently not in the direction you were heading, and because of that I completely understand the need to drop your drawers to relieve yourself on the side of a building in the middle of morning traffic near quite a larger number of pedestrians trying to get to work. But, honey, there really wasn’t much to see. So next time please keep it to yourself and, at a minimum, find a bush. The importance of the head nod. Have you ever considered the importance of acknowledging people around you? My dad was a talker. He developed the habit from his dad, I’m fairly sure. I recall many times when I was growing up and visiting my grandparents in New Mexico, my abuelita and I ended up hanging around outside a grocery store waiting for my grand-papi to finish his conversation with some random person inside the store. Every time it happened I would ask my grammy, “did he see someone he knew?” The response was always the same, “he thinks he knows everyone.” I never seemed to learn to stop asking. My dad was the same. Any elevator, line or general space where people were standing around waiting for something he would always wait out his chance to start a conversation or at least acknowledge someone’s existence with a smile and a nod. Often it is suggested to me that I am very much like my dad. I accept that wholeheartedly, and I had to finally agree when I started repeating his bad jokes to friends. Because of this, I find myself at odds with city living. I do the city thing walking with an iPod whenever I leave the house in my attempt to signifying that I’m too busy listening to music to be bothered. However, I rarely keep up the charade. If someone talks to me, I will respond as long as it’s not (1) obnoxious or (2) rude. For example, I had a short conversation with a man trying to sell knock off Coldplay CDs while I waited to cross the street on my way to the Financial District. It was amusing because I told him I wasn’t enough of a fan to buy a CD and he wanted to know who Coldplay was in the first place, so we ended up chatting for a few minutes about music in general. 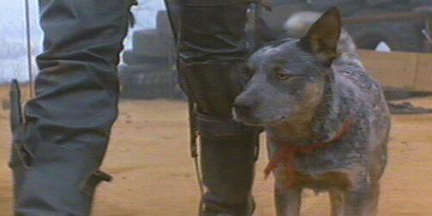 Another time I learned from a guy around Pershing Square that the dog in Mel Gibson’s Mad Max movies was an Australian Cattle Dog. Learn something new every day. I find that I continually walk through downtown assessing people as I pass them. Step one: are they a little on the crazy side and if so how crazy because I have yet to meet anyone completely sane. Initial assessment done, move to step two: are they going to acknowledge that I’m walking by them? If yes, then step three: smile and give a head nod. I don’t care who you are. Homeless, artist, transient, hipster, business person, entrepreneur, if you’re in downtown then we should learn how to coexist. And by that I mean acknowledge each other. There have been many times that the people I’ve met have helped me out in different ways, and I am always grateful for their assistance or general civility or, even minimally, humorous conversation. I like knowing the people who live around me, and I welcome those experiences. It’s my continued attempt to bring a little Southern hospitality to Downtown. It’s feels good to be nice to people. More likely than not those around you will return the favor. 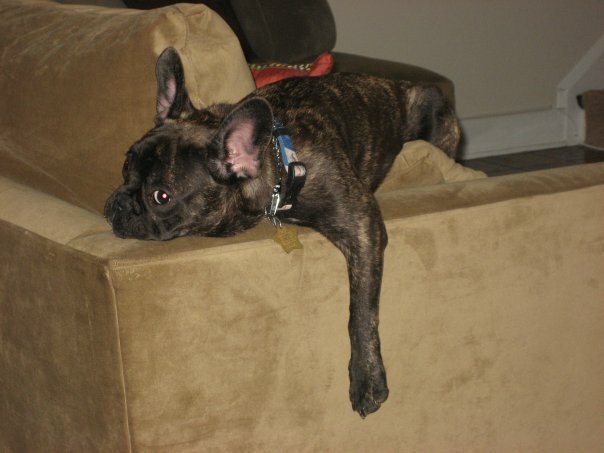 Photo credit: Photo taken from the blog site Doggie Stylish. I am a proud dog owner living in DTLA. The only time I pretend my pup and I are not together is when he goes ballistic at the sight of a large dog (though the leash and doggie bag in my hand usually give me away). Napoleon complex. Now, I recall an article in the LA Times awhile back that claimed there were more dogs in downtown than people. I don’t know if that is true, but what I will say is that there are prime walking areas where people go and meet, let their dogs play, and…do their business on every tree in every section of greenery or non-greenery that exists in downtown. As a dog lover, I have no problem with the number of dogs in downtown. However, I do have an issue when dog owners do not pick up after their pets. I would love to be able to tell my dog “you made that mess, now please go clean it up” and while he might be smarter than me at times, I am fairly sure we will never reach that point. And, as a side note, thank you to whoever it was that put flyers on a couple of trees around my block showing a photo of poo left on the ground. It was a disturbing image to see first thing in the morning, but your point is sound. Please, dog owners in downtown, pick up after your dog. I have new rules for my pup when we go out for walks in an attempt to…spread the love around downtown as opposed to marking the same tree over and over again. Rule #1 – We will not stop at every tree. I know which three are your favorites on our block and that is fine, but the others will remain unmarked. Rule #2 – You are not allowed to relieve yourself on anything other than grass or other green space. This sidewalk stuff is not happening on my watch, and I’m definitely not allowing any marking of potted plants outside a store front. Rule #3 – Well, I don’t have a rule # 3 yet, but I’m sure the list will grow. I love dogs in DTLA. I often stop to pet them when I’m out walking (as long as they are friendly and the owners don’t mind). It is crazy to expect anyone else to do your dirty work. You got the dog, be a good owner.